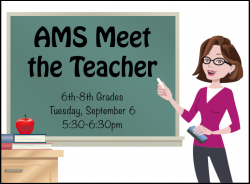 Atlanta Elementary School is hosting a Grandparent's Reception Thursday, September 8th from1:30-3:00. Refreshments are provided and grandparents may visit the Scholastic Bookfair on-site with their . 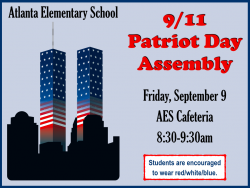 . .
Atlanta Middle School will be remembering 9/11 and honoring our First Responders September 7-9. 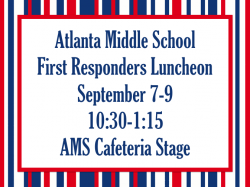 AMS will be offering lunch for First Responders on the cafeteria stage from 10:30-1:15 each . 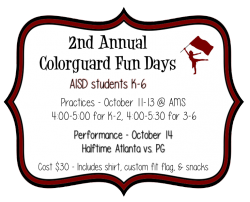 . .
2nd annual Colorguard Fun Days information and forms are attached. . . .